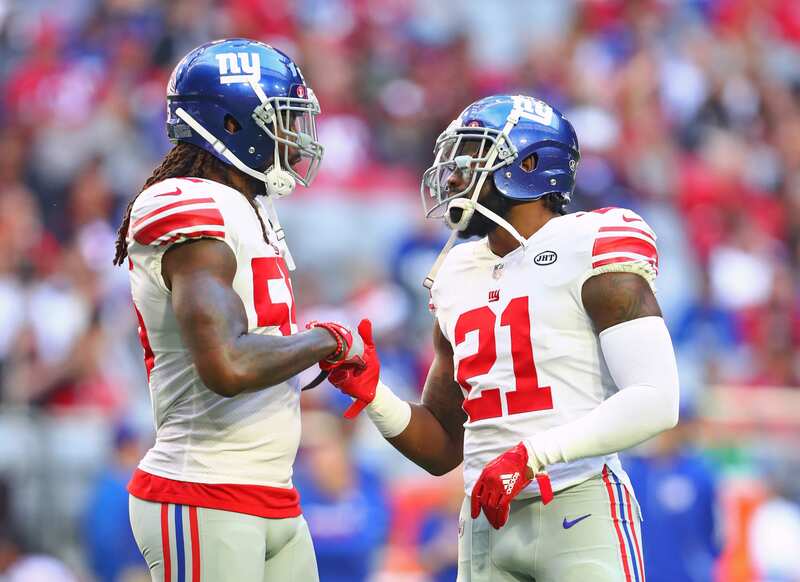 One of the more interesting topics this offseason will be how the New York Giants approach star safety Landon Collins’ free agency bid. The safety will hit the open market with a ton of attraction from other teams looking to add a true hustler to their defense. The Giants undoubtedly ‘need’ to keep him at all costs and he’s stated before that he wants to spend the entirety of his career in New York. With young players like Saquon Barkley a potentially a new quarterback on the way, the Giants are in a position to complete a quick turnaround and find their way into the playoffs within the next few seasons. Collins certainly wants to be on a rising team rather than a bottoming one. How should the New York Giants approach Collins this offseason? Placing the franchise tag on Collins is a good option, regardless of the fact he doesn’t want to be hit with a one-year deal. Tagging him might not be in the best interest of Collins, as injuries have been a problem throughout his career, but the Giants would have an advantage. It would give the team a chance to analyze his recovery from a broken forearm and if he’s worth investing money into them for the long-run. The 25-year-old will be going into his fifth season in the NFL and has never recorded less than 96 combined tackles. He’s a force in the run game and makes plays sideline to sideline. The Giants would be wise to retain him, and hitting him with the franchise tag is the right move. This would give them the ability to retain him for one-season and offer him a long-term deal if they feel he can be a cornerstone piece moving forward. There’s no question that he’s loved in the locker room and a positive contribution to the team, it will be a matter of staying on the field that decides his fate in New York.